Do you love miniatures? Miniature orchids have a fan base of ardent followers who love to treasure hunt in the Tropical High Elevation House. And there are lots to find. 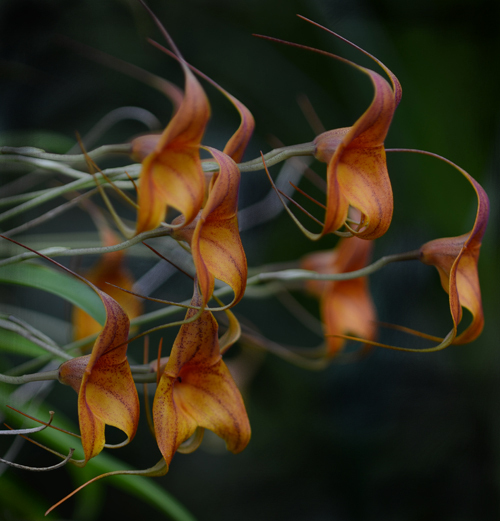 You will find Masdevallia Maui Lollipop directly across from the entrance. 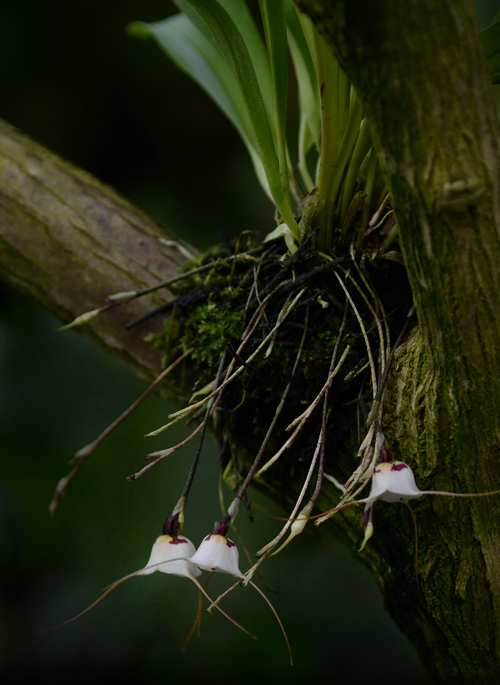 Tucked in the trees are some Dracula inaequalis with their bell-like flowers. Inside the bell is a tiny petal (the lip) that is hinged, like a clapper. 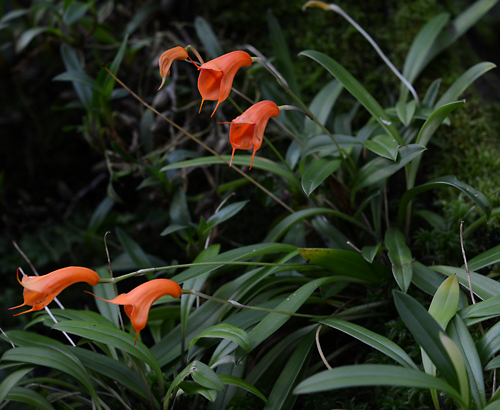 The tangerine flowers of Masdevallia Kimballiana are a terrific find in the back of the High Elevation House. Kimballiana flowers almost continuously throughout the year. And there are many more! Stop by this Mother's Day weekend.